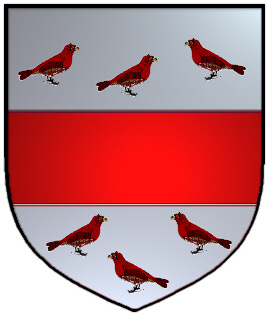 Coat of Arms: Silver, with a red fess between six red birds. Spelling variations include: Washbourne, Washburn, Washborne, Washborn and others. First found in Devonshire where it is related the family took their name from Waseborne in that county soon after the Norman Conquest in 1066. 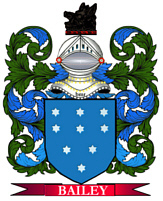 Some of the first settlers of this name or some of its variants were: Margerie Washborn settled in Boston Mass.in 1635 with her two sons, Joe, and Phillip; John Washborne settled in Virginia in 1619; one year before the "Mayflower".